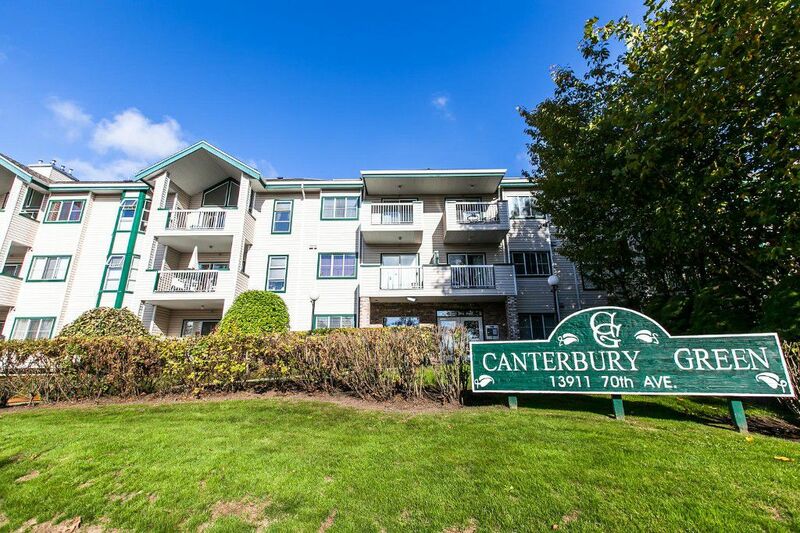 Clean one bedroom apartment overlooking courtyard provides an opportunity for affordable living in a building that ALLOWS 2 PETS and in a central location CLOSE TO SHOPPING, SENIORS CENTER, TRANSIT, RECREATION AND AMENITIES. LISTED LOWER THAN THE ASSESSMENT. This spacious one bedroom, one bath unit with 9' ceilings is neat and clean as well as priced to be able to update to your tastes or move in and enjoy like it is. Foyer with marble tile floors. Spacious living room/dining room with cozy gas fireplace and balcony overlooking attractive courtyard area. Spacious bedroom with bay window, walk-in closet and door to main bathroom. Parking stall is close to the elevator. Spacious storage room. Enjoy the recreation centre with clubhouse, gym, indoor hot tub, outdoor pool and tennis court. A clean unit ready for your updating touches in a great location close to all amenities, senior center and transit and with resort quality recreation facilities. Affordable living in style. Living here is cheaper than renting.